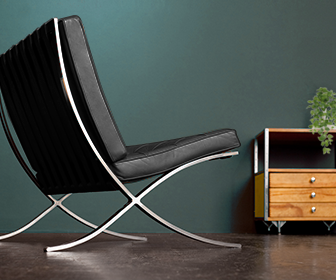 You are about to buy a Barcelona Chair but are still not sure about the color. Choosing the color isn’t an easy choice and it’s definitely a choice you should take some time for to take. After all you are investing in a show piece which will last you a lifetime. Many people choose for a black one (great choice!) but may be a different color fits you better. To make your choice easier: we picked out inspiration for the most popular versions of the chair. We hope the inspiration pictures will help you choose! What color Barcelona Chair do you want inspiration for?